Dr. Barbara Block of Stanford University has spent more than two decades as a pioneering leader in bio-logging science, biological oceanography, physiology and population genetics of pelagic fishes. 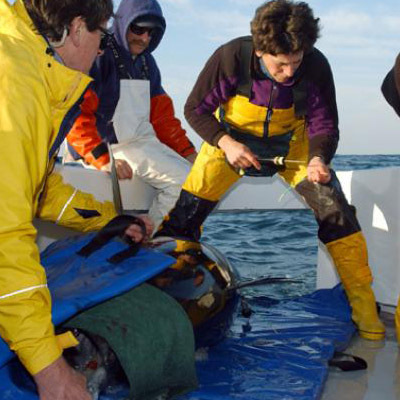 Her research is focused on how large pelagic fishes utilize the open ocean environment. Her investigations are aimed at understanding the evolution of endothermic strategies in tunas, billfishes, and sharks. She has worked extensively with some of the top anglers in the recreational community to deploy archival tags on billfish and tuna. The data gathered from her work has greatly increased scientific knowledge of these magnificent fish.